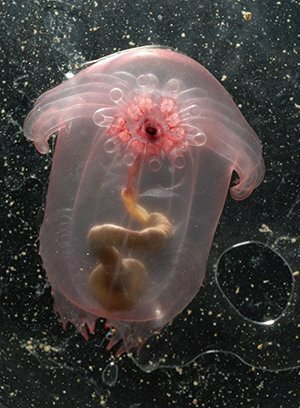 The Pink Sea Through Fantasia (Enypniastes eximia) is an incredibly unique creature that was only recently discovered. It is a species of free swimming sea cucumber. The unique feature of this animal is that it is transparent, or see through. This animal was found in the Celebes Sea, an area of the western Pacific Ocean bordered by the Sulu Archipelago, Mindanao islands of the Philippines, and the Sangihe Islands, Sulawesi, and by Indonesia. 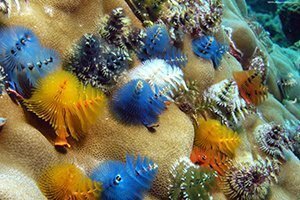 The ‘Christmas Tree Worm’ is the common name for a marine worm that lives on tropical coral reefs around the world. The scientific name is Spirobranchus giganteus. These creatures come in different bright colors and average about 3.8 cm. Despite their small size, they are easily spotted because of their distinctive shape and color. 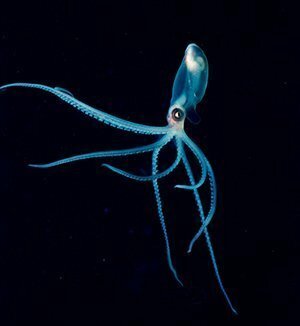 The Bioluminescent Octopus is scientifically known as the Stauroteuthis syrtensis. The eight tentacles are of different length and the longest one extending to 35 cm. The tentacles are for two-thirds of their length by webs, giving the creature an umbrella shape. The feature that makes the Bioluminescent Octopus stand out from other creatures is that it emits light. It is believed that the bioluminescence is used for defense to scare off predators and provides a lure for small crustaceans, which is the primary diet of this animal. The Northern Stargazer has a different technique of getting its food. It buries itself in the sand and waits for its prey. When it senses food nearby, it uses electricity to stun the prey and quickly devour it. 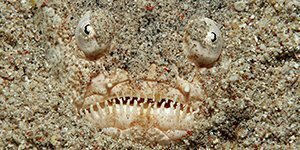 In addition, it has a huge mouth that no prey can identify quickly enough, thanks to it’s camouflage. The scientific name for this amazing animal is called the Phycodurus Eques. 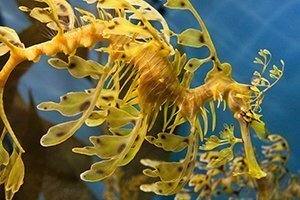 Their exquisite camouflage help the fish resemble seaweed in their habitat. This makes their predators hard to find them. They belong in the same family as seahorses and pipefish. The size of this creature is approximately 30 cm long. This creature looks like something that came out of a science fiction movie. It uses a natural lure to draw it’s prey closer. It lives in Earth’s most inhospitable habitat – the lightless bottom of the sea. There are many different species of Anglerfish. 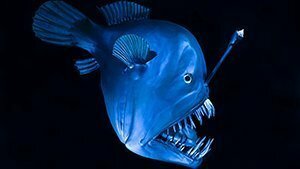 The size of this creature is around 20 cm to 1 m. A fun fact about the Anglerfish is that the lighted lure flows with the help of millions of bioluminescent bacteria.